If you know someone who is suffering from conjunctivitis, avoid contact with them. Children with conjunctivitis should not attend school until they are fully recovered. If an allergy is causing irritation, a doctor may prescribe eye drops containing medications that control allergic reactions (e.g. antihistamines and mast-cell stabilisers) or drugs that control inflammation. The severity of allergic conjunctivitis can be reduced if the cause is known and deliberately avoided, although this may not always be possible. 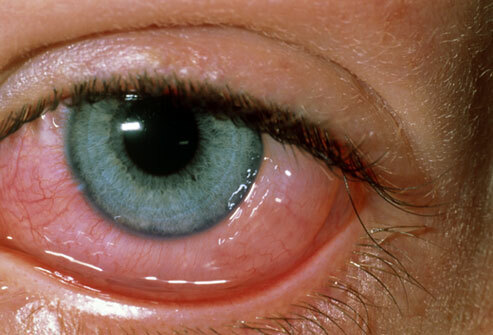 Antibiotic eye drops may be prescribed for bacterial conjunctivitis. Even without medication, the infection should ease after several days. An antibiotic eye ointment is sometimes used in children as this can be easier to administer, although it can blur vision for a short time after application. In either case, it is important to follow the doctor’s instructions and use the antibiotics for the recommended period to prevent a recurrence of the infection. Do not stop the treatment early, even if the eye seems better.